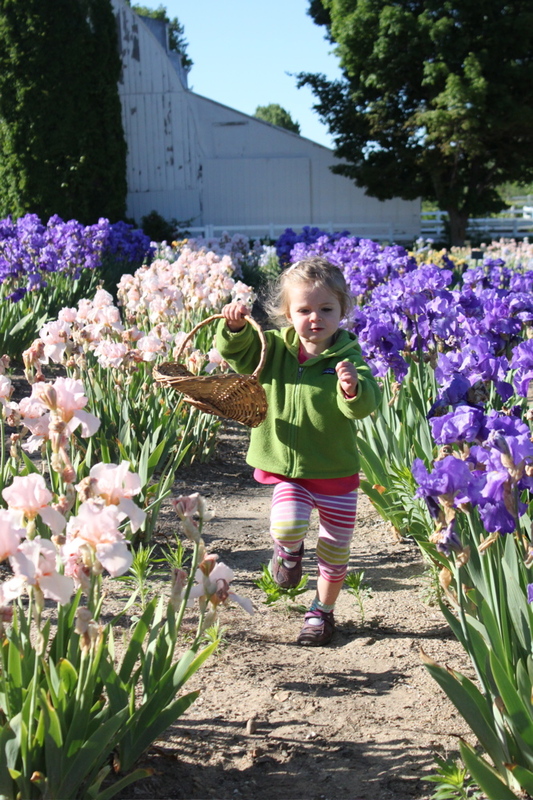 One of our favorite spring traditions is a visit to the Black Iris Farm just west of Traverse City. It is one of my happy places. 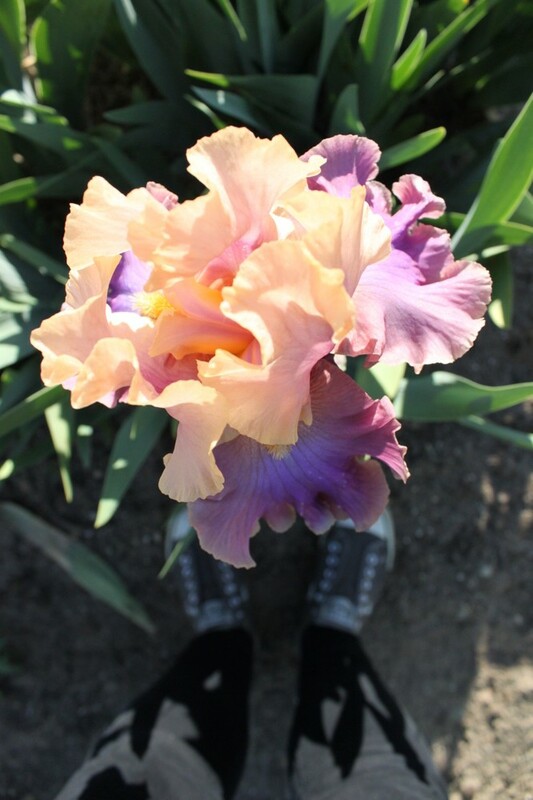 It’s so relaxing and inspiring out there amidst the colors and the smells. 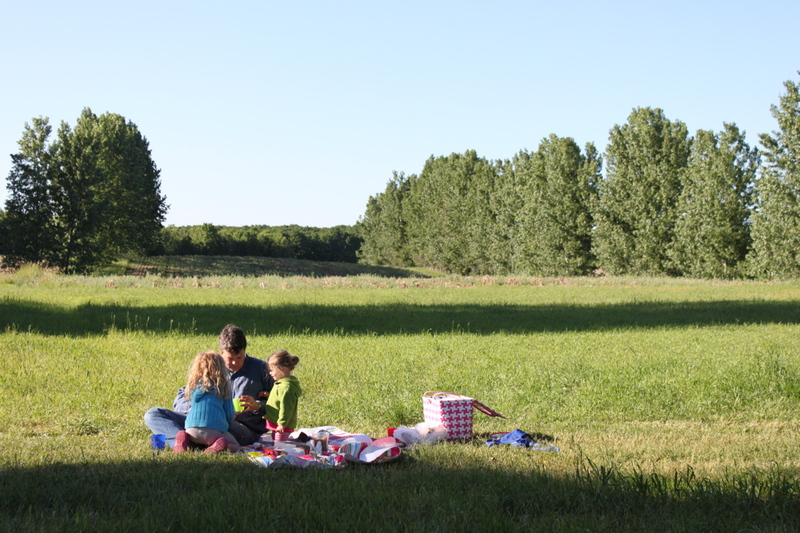 The breeze was blowing and the lombardy poplar trees were dancing. It was magical! 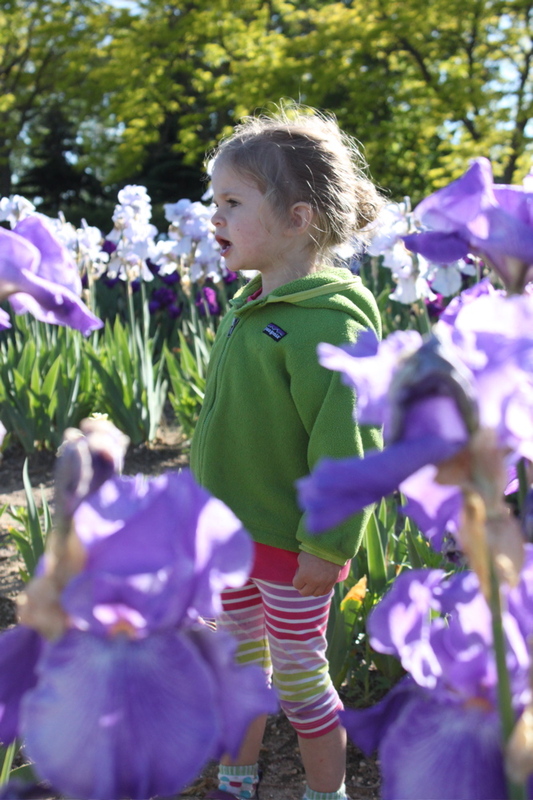 I realized as I was looking at pictures from three years ago that Phoebe wore the same little green jacket that Wren wore while running through the iris rows. Time! Easy there. 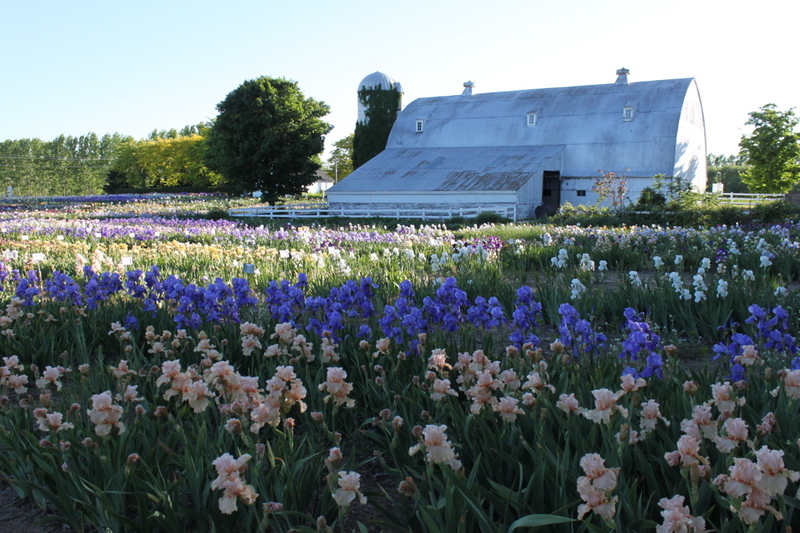 See you next year, beautiful iris farm! We love you. 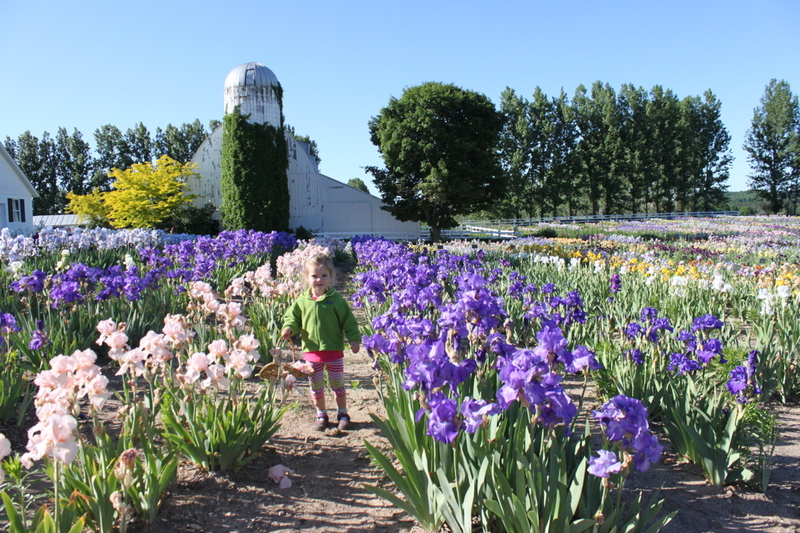 Did I tell you we now have a two year old living with us, who sometimes turns into the Tasmanian Devil when tired/hungry/over-stimulated/doesn’t get what she wants? Oof. We really needed to get out of the house yesterday for a change of attitude and perspective. 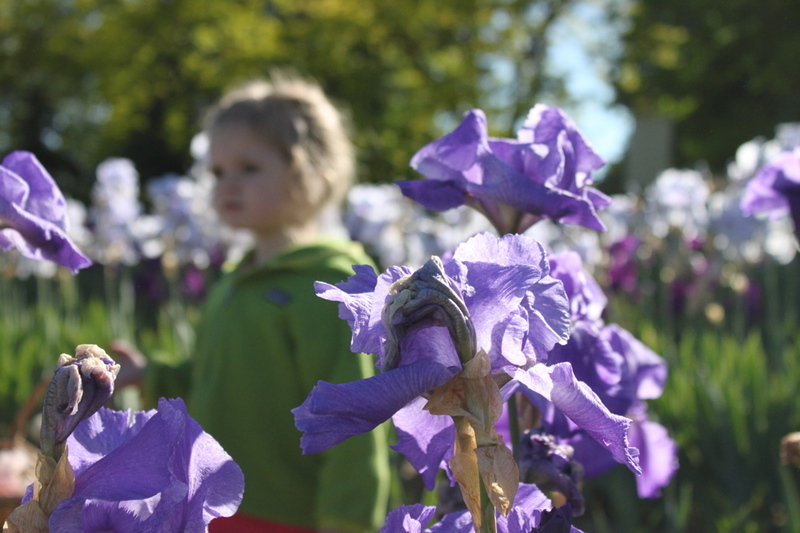 And a trip to the iris farm worked. For about an hour of the day, yesssss! She decided to leave her grumpy pants at home and we had a great time. She had another melt-down in the garage when we got home, but then promptly slept for two hours after that, so that but-I-WANT-to-drive-the-car-NOW, Mama!!! meltdown can be forgiven. But obviously not yet forgotten. Sigh. 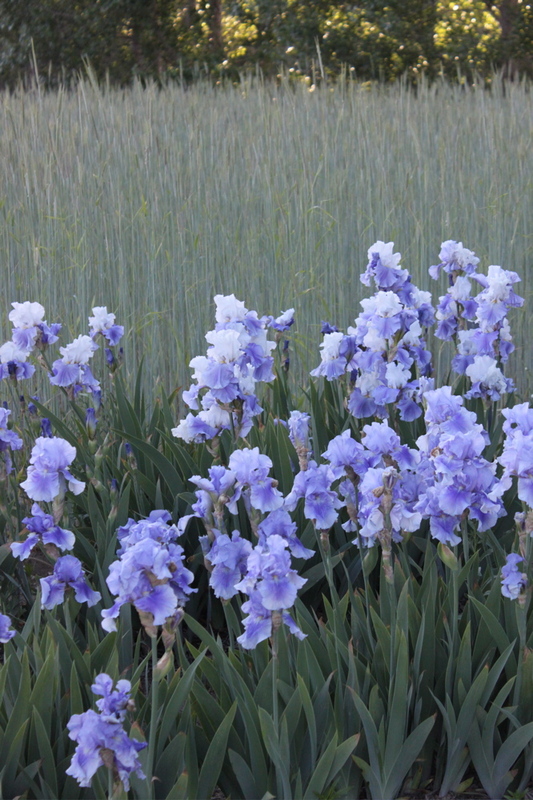 Yesterday, I wished that I too could’ve been 35″ tall so I could wade through a forest of irises. Then sit and pull them toward me, letting the smell fill up my entire face. What did you do this weekend, lovelies? 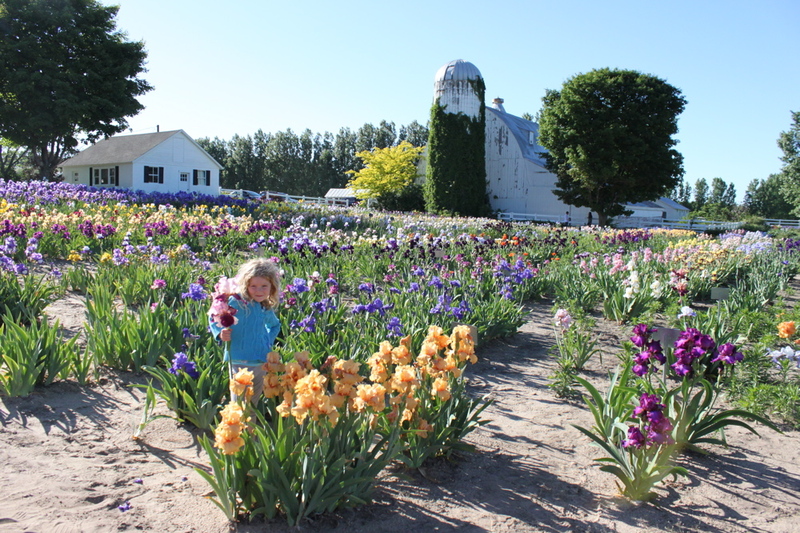 This is the first official week of summer vacation here in northern Michigan and it’s a near-perfect day. Looking forward to playing at the park this afternoon with my little birdie. And eating a popsicle. Or two.